All three photos courtesy of NE Wales Search and Rescue Team. 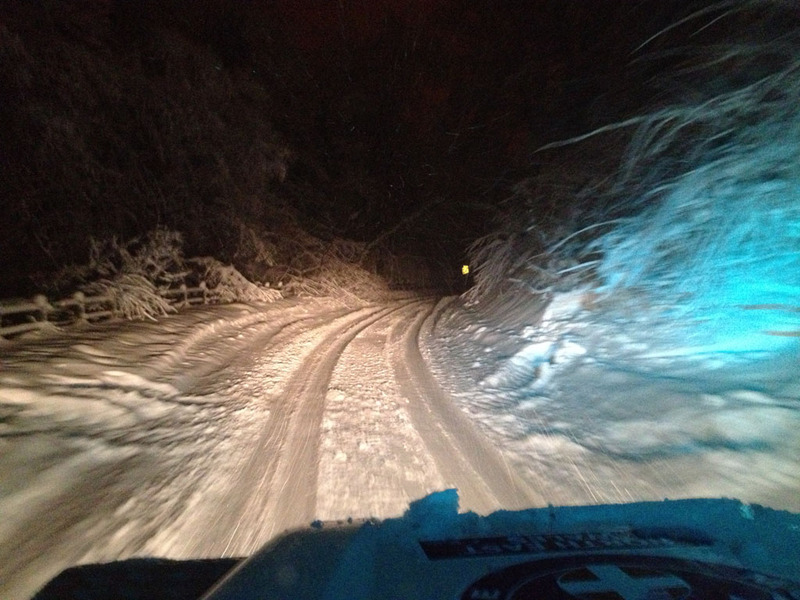 There was very heavy use in Cumbria, North Wales and also Dumfries and Galloway areas. 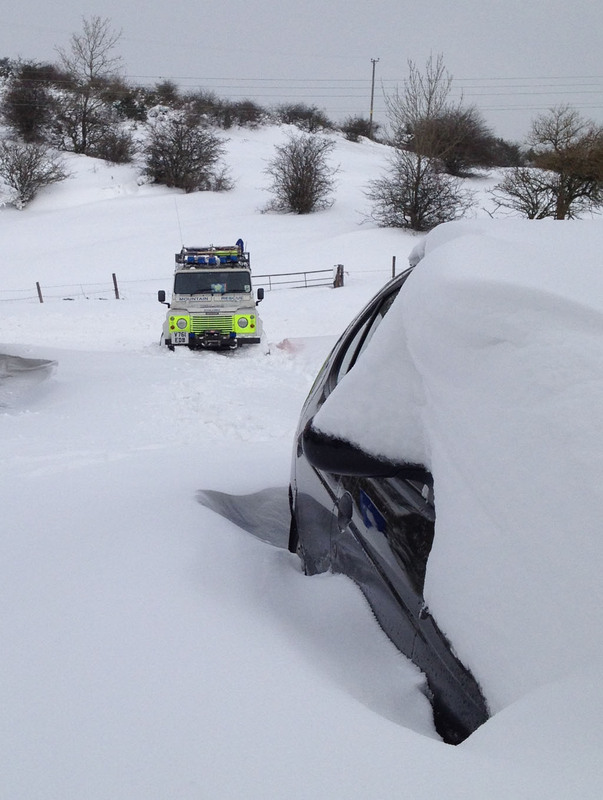 The vast majority of these incidents were raised by the Police or Ambulance services requesting Teams to support their towns and communities who were snow-bound or cut-off. Using their off-road capabilities together with a secure command structure linking back to the Police and Ambulance Control Centres, these Rescue Team volunteers helped a large number of people in the affected areas. Incidents included locating, assisting and evacuating stranded motorists, getting medications to people in remote communities, assisting the Ambulance personnel gain access to cut-off villages etc. 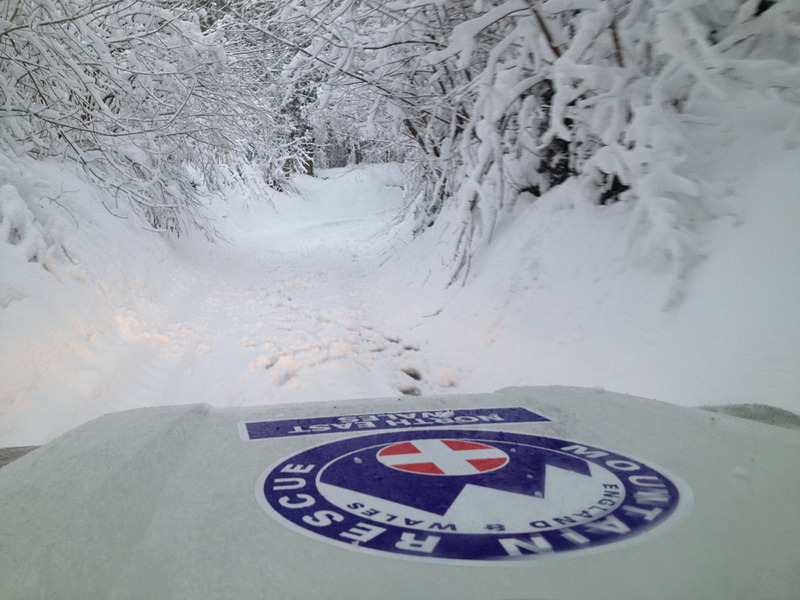 In North Wales alone, these volunteers gave about 2,500 hours of time supporting Police and Ambulance operations in exceptional winter conditions, often getting through to people where normal access was believed to be impossible. Team Members used skis, pulks and snow-shoes to access some remote communities. During this period of intense operations, there were just a couple of ‘normal’ mountain rescue operations; all other work was supporting our local Police, Ambulance services helping our communities. SARCALL greatly helped manage and deliver this diverse range of operations. World-Text have built a network based on reliability. It’s the reason we’re the chosen supplier to SARCALL used by many UK Search and Rescue Teams and the 999 Emergency services for SMS Text Messaging. SARCALL is the search and rescue callout system, which includes tools to initiate and coordinate callouts more effectively, enabling the Police and Ambulance services to call out the required Teams in a simple, robust and consistent manner.